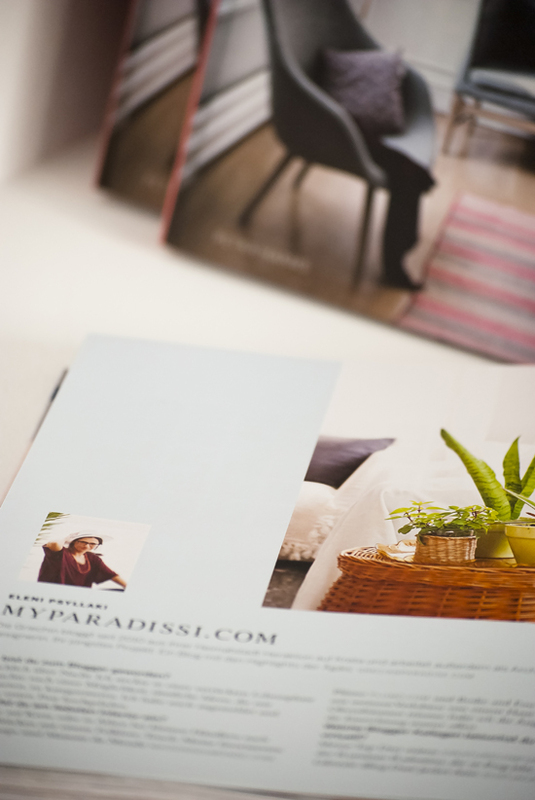 My Paradissi in a book and a giveaway! It's high time I shared with you the great news I've been mumbling about on my social media for some time now. I'm co-writing a book about interior design along with a team of amazing bloggers! A few months ago I was contacted by german publishing Callwey to be asked if I wanted to take part in a new book that would be entirely written by bloggers. Well, guess what, I said yes! It is a huge honor to work with such a team and I more that flattered to have the photos of my home amongst the best of the best interiors, designed and decorated entirely by bloggers. 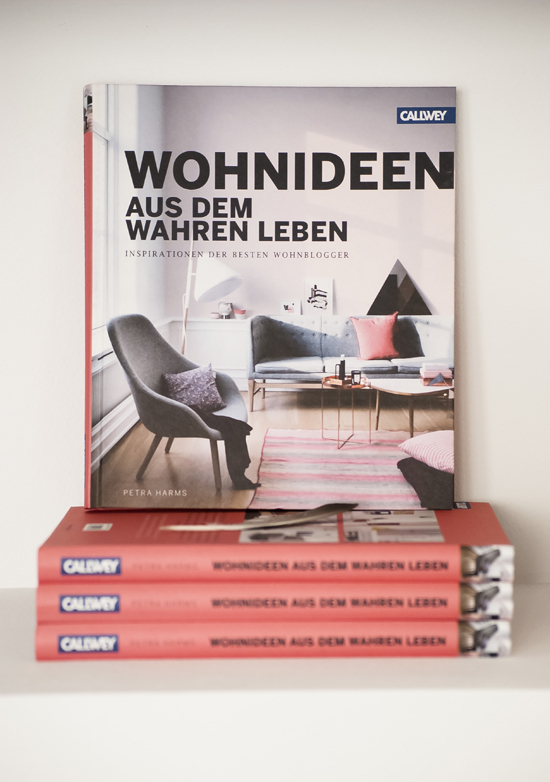 The title of the book "Wohnideen Aus Dem Wahren Leben" translates as "Living Ideas from Real Life" and is literally as such. 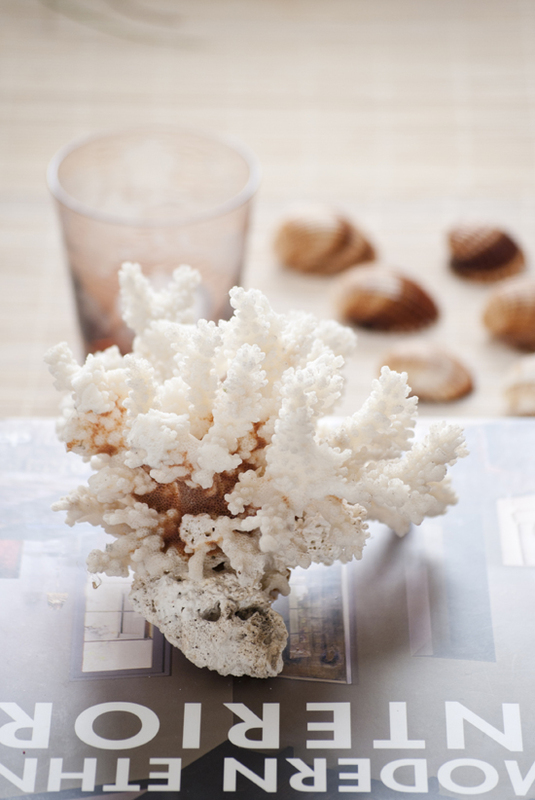 The everyday decor and home arrangements of 15 amazing bloggers put on paper for you to flip through and dream. You will find inspiration for every room of the house along with text and quotes written by each one. 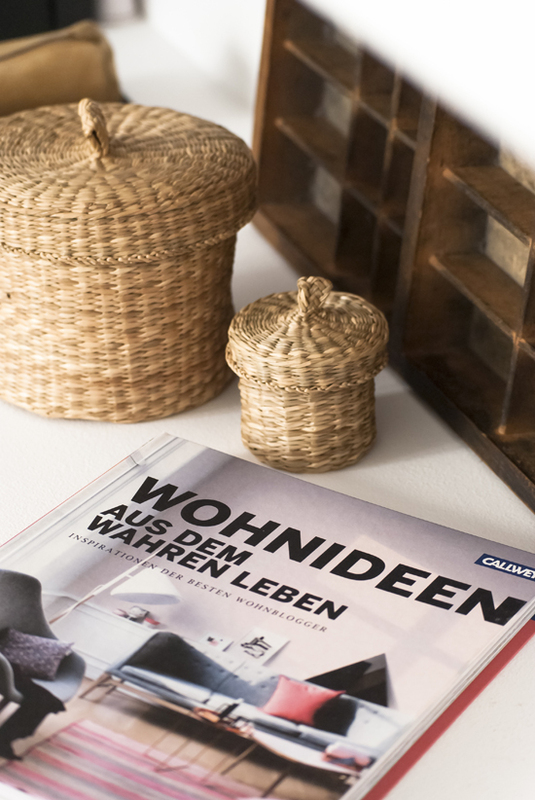 The text, unfortunately, is in german but the book is all about the images (as any interior design book) so you can still enjoy without understanding the language. You can get a copy of the book here. To celebrate the occasion I'm giving away two copies of the book. To enter the giveaway you just leave a comment below. For an extra chance to win you can share this giveaway on your social media and leave an extra comment that you did so (along with the link/name of the share). The winners will be notified by email so please be sure you leave your email in the allocated comment box or in your comment. This giveaway ends on Friday 4th of October. Good luck! 45 comments on "My Paradissi in a book and a giveaway!" Φανταστικά νέα, ένα Μπράβο ίσως να μην αρκετό. eleni, i wish you could help me with my appartment, i have tha basics, but empty walls, and very few things to make it cuter... congrats on your blog! Congratulations Eleni :) I'd be so happy to win this beautiful book :) Many regards. Μπράβο μπράβο και πάλι μπράβο! Και μιας και η γλώσσα δεν αποτελεί πρόβλημα, θα ήθελα πολύ να είμαι μια από τους τυχερούς! Σου εύχομαι κι άλλες, πολλές επιτυχίες! Wow! Congratulations!!! I would love to have one of those two copies! I'm sure the book is super interesting... and real!! congratulations and well done - the book looks lovely. Some names I recognise, while others I don't so looking forward to discovering even more sources of inspiration. The book looks sooo pretty! Congratulations. It seems to be a marvellous book! συγχαρητήρια Ελένη, φαίνεται ιδιαίτερο ενδιαφέρον το βιβλίο! !cant wait!! Fabulous book. Congratulations! It looks like a winner. Wow! Congrats, Eleni!! This looks like an amazing book!! Excited about the giveaway! Congratulations for you and fingers crossed for me. It seems to be a great book. I have followed your Blog forever, and I am very excited about your book! Congrats! All the best! I am sure it is beautifully composed as is your blog! Congratulations Eleni how awesome! i cannot wait to check out the book! Το καλύτερο ελληνικό blog διακόσμησης!!!!!! Wow! That is a great opportunity! Congrats! Thank you for the opportunity!Good luck to every1! συγχαρητηρια Ελενη! παντα τετοια ωραια νεα! As always, great job Eleni! You are an inspiration for amateurs like me. Everyday I end my day with visiting dwellingawker and myparadissi. Not only do you have a great eye, but you have a simple and eloquent writing style. Your hardwork brings a smile to me after a long day of lab work. Συγχαρητήρια κορίτσι!! Είμαι σίγουρη ότι είναι μόνο η αρχή! Ευχομαι πολλάαααα ακομα! Και κρίνοντας απο το team των blogger φαντάζομαι πόσο ξεχωριστό θα ειναι και το βιβλίο! Μπράβο σου ξανά κάθε επιτυχία! Συγχαρητήρια και από μένα για το βιβλίο! εύχομαι να πάει καλά και εύχομαι να το κερδίσω! Sinharitira! Even from Brazil we can celebrate this great job! Loved your blog from the first...wishing you all the best...and hopefully for me too for the giveaway! I can imagine how proud you must be. :D I would love to have a copy of the book! Grats Eleni! I love your picks and I am sure your contribution was huge in this book :) I cross fingers for the give-away!